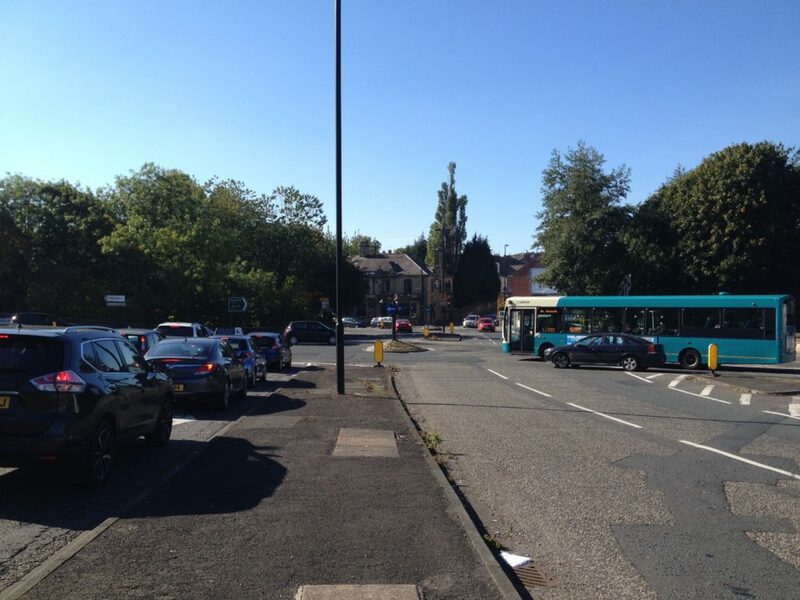 In two previous articles we discussed the Haddrick’s Mill Junction in general terms and talked more specifically about the required cycle provision. One of the key points we have been making over the past few years, is that roads need to be clearly designated by their function – following the Dutch design principles of Sustainable Safety (a campaign policy). So it was a bit of a pleasant surprise to see a booklet (recently published by the council carried out under the Re-Newcastle banner) showing a road designation system, albeit rudimentary, now being developed! Have the council got it right? Let’s have a look. 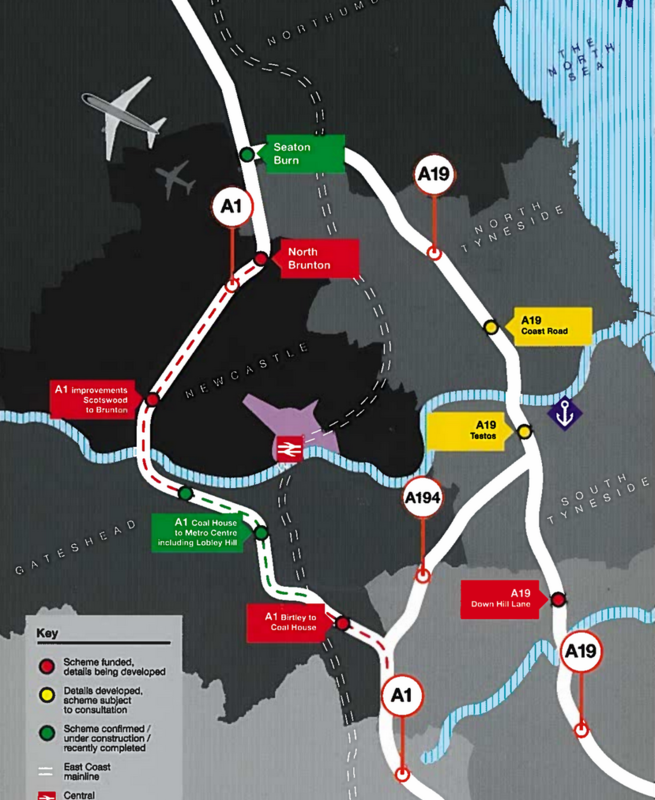 The illustration below taken from the council’s booklet shows the roads that are expected to be used for journeys through the wider Newcastle area. It shows traffic being carried on the A1, A19 and A194. This is just what we proposed in our article on road functionality as part of our Sustainable Safety articles. So far, so good. A second illustration (below) in the booklet shows, roads that were previously described as distributor roads (shown in Orange on the illustration). While some of these roads would undoubtedly make fantastic distributor roads, currently however they are dysfunctional due to the vast amount of (induced) motor traffic. Moreover, a large proportion of the traffic on those roads will not even acknowledge Newcastle. Instead these roads cut straight through Newcastle’s residential heart, allowing high volumes of motor traffic where it does not belong. Furthermore when ruthlessly cutting through the space where people live, these roads also pollute (air and noise), add to the congestion within Newcastle and create community severance. In short, they provide very little benefit to the city and its residents judged by their intended function. 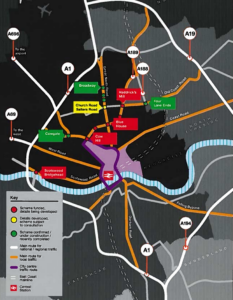 The second illustration also includes the worrying Northern Access Corridor. You can see it as the Orange line between Cowgate and Haddrick’s Mill. The exact route to the East of Haddrick’s Mill and West of Cowgate is not clear. This corridor would provide a shortcut to motor through-traffic, that should really be expected to travel on the A1, A19 and A194 ring. Community, environmental and social degradation, as described above, would sadly be guaranteed if this proposal were enacted by the council. We suggest that instead of trying to increase capacity along this route – which could just induce more motor traffic on to the route – that instead the through-cutting motor traffic should be managed. Haddrick’s Mill is well located to be the point where motor through-traffic is controlled. We have to start somewhere if the city is serious about transport transition. The bridge over the the Ouseburn that forms part of the double roundabout junction, could be closed to motor vehicles (with exceptions for emergency services and buses). Road classification has to be done on a citywide basis, as that the whole city road network is assessed for its function. The rudimentary attempt by the council is a start, but leaves many questions. For Haddrick’s Mill we suggest that the motor through-traffic should be prevented. Given its sitting within the urban fabric, Haddrick’s Mill is a node where through traffic can and should be adequately managed (and motor traffic ultimately reduced as mode shift takes place). Taking this one step further into the future, the bridge over the Ouseburn that forms the connector between double roundabouts, could be closed to motor vehicles (with exceptions for emergency services and buses, ie essential traffic). Doing this would sensibly ‘zone’ the Mid-Ouseburn (Gosforth, Longbenton) area: it would create roads which have a much clearer distribution function and traffic would be de-congested from the surrounding roads. This would also create a much better environment for the various residential neighbourhoods surrounding Haddrick’s Mill and would make an excellent start for the communities adjacent to the Northern Access Corridor. That would be a push. We would ask council to couple this with a pull. Better infrastructure to travel quicker by sustainable modes – walking, cycling and public transport – would give people alternatives to the car and enable people to to make local journeys by foot, cycle or public transport. We must not forget, Haddrick’s Mill is a route to numerous schools. And the safety and comfort of our children should be on our mind when re-designing our roads system. This is just one area in Newcastle where through traffic could be managed differently to create a more liveable city overall. We hope to inspire an alternative way of thinking of transport planning and engineering within the council.